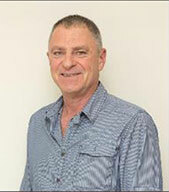 POLYCO is proud to welcome Francois Marais to the team as the new Business Development Manager. We would like to make use of this opportunity to introduce him to the Recycling and Plastics Industry as POLYCO’s key point of contact in the Gauteng region. What will the main focus of your activities be? Developing and supporting the network of existing operational collectors and recyclers and encouraging sustainable growth through POLYCO funding. I will also be responsible for monitoring the performance of our project partners who are based in Gauteng, and maintaining the relationships with funded organisations. Providing training on polyolefin materials, promoting POLYCO membership to plastic packaging converters in Gauteng and providing general business support also forms part of my remit. Where did you work prior to joining POLYCO? I’ve gained extensive experience in the packaging and waste management industries, having worked previously for The Waste Group, Remade Recycling, Nampak Tissue, Nampak Corrugated, Commercial Sundries (Bidvest) and Clockwork Clothing (Bidvest). How do you feel about your new career at POLYCO? I am very excited about joining the POLYCO team. The challenge of improving the recycling of polyolefin plastics is huge. However, I have a passion for recycling I feel that I could make a real contribution and measurable difference as part of the team. What do you think are some of the biggest challenges facing the local plastics recycling industry? There are of course a number of challenges facing us, but I believe that by developing new markets for recycling products the demand will increase and stimulate the collection and recycling of (recyclable) waste. Separation at source is also a big challenge, but the results of what we can achieve if we get it right are obvious to anybody in the recycling industry. We have to change and challenge mind sets by taking responsibility for our own waste. What do you think are some of the biggest opportunities facing the local plastics recycling industry? The markets have been under economic pressure for quite some time now. However, I believe that developing new markets presents a huge opportunity for the local plastics recycling industry. By taking real and measurable responsibility for what we do and how we manage our waste, we will be able to create a sustainable answer for the industry in the long run. Recyclers and collectors must understand the packaging industry requirements for quality products and work together towards the same goals in achieving better product. Consistent quality according to spec is the key and will stimulate demand.